We've always had a soft spot for Hillary Clinton, but last week, when she said she loved, and even submitted an idea to the now defunct Tumblr Texts From Hillary, she officially became our favorite Secretary of State ever (sorry, Condoleezza). We really thought we couldn't love Hillary anymore, but then she went to Cartagena, Colombia, for the Summit of the Americas, and this is what happened: Hillary had a long, rough day meeting with important diplomats from about 30 nations, and she and President Obama played key roles at the Summit. After a day of meetings, Hill went out to dinner, and the meal ran past midnight. 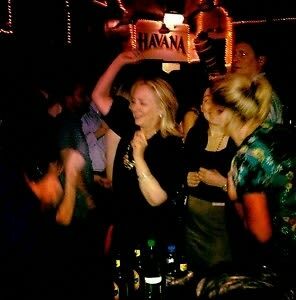 Sometime in the early morning, Hillary, along with a group of her female aids, were struck with the fantastic idea of going to a local bar called Cafe Havana. To rage. 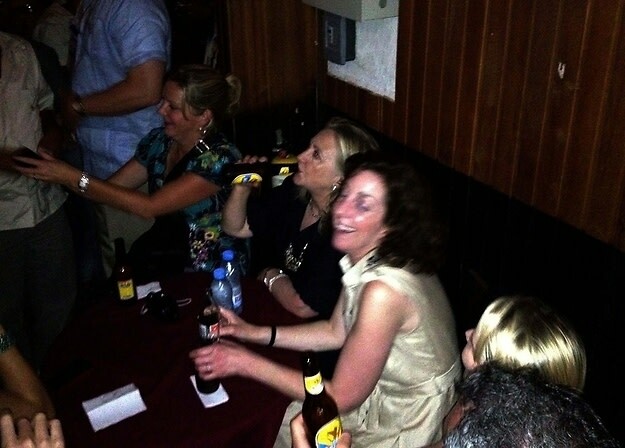 Though both guests at the bar and State Department officials were hesitant to reveal too much about the former First Lady's late-night antics, one person, who spoke to Reuters on the condition of anonymity, said that Clinton "looked like she was having a great time." Yeah she does. We want to know where the President was while his right-hand-woman was dancing the night away!